Most of you know that I help my friend Butch Anthony with his Etsy shop, Museum of Wonder. 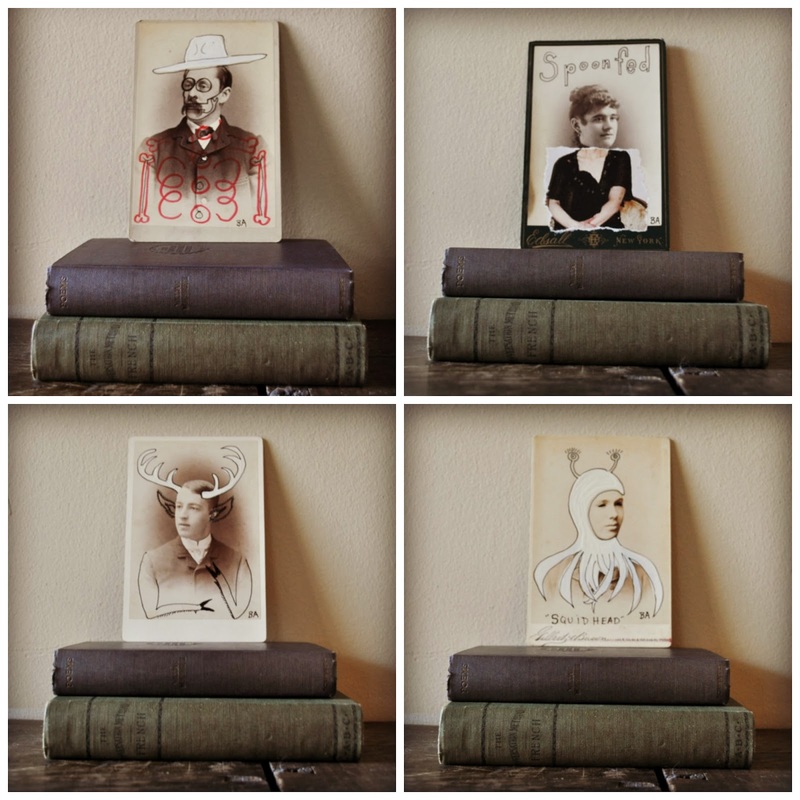 We are listing a series of small portrait paintings/collages in his shop right now and I am so excited about them. I wanted to let you all know because this may be a way for you to get an original Butch Anthony painting for $35 plus shipping. I am so thankful that I met Butch when we first moved here to Alabama. He is one of the most inspirational, motivating, creative people I know. Here's to friendship and supporting the arts. A few months ago I had the opportunity to go to Florence, Alabama to attend a weekend workshop at Alabama Chanin. I need to preface this by telling you that it was one of the best weekends I have had while in Alabama. The boys and I road tripped together as a family. They dropped me off at the newly remodeled Alabama Chanin Factory. I was really nervous but I quickly made friends and got to work on my project. I chose to make a corset style tank like the ones above. I am still working on it but I will share a photo of myself wearing it when I finish. You see, the magic behind Alabama Chanin is that Natalie and her amazing team of many super talented people hand stitch their creations. They use organic cotton that is so soft and easy to work with. I spent the weekend learning new skills, making friends, and soaking up all inspiration I could. I was surrounded by women who loved the same things as me. They loved to create and make things pretty (just like me). 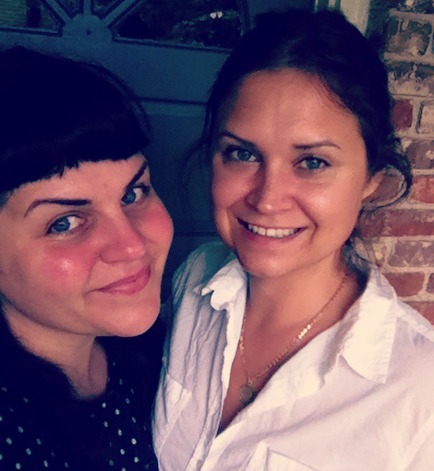 We sewed together and ate amazing meals and bonded over beautiful projects. The great thing about the workshop was that all you had to do was show up. Everything was provided and the Alabama Chanin staff treated us so so well. I felt spoiled and loved at the same time. The workshop I attended was the week before the official opening of Natalie's shop and cafe. Both the shop and the cafe are lovely. The food was some of the best food I have ever had and I wanted to buy everything in the store. I say that this workshop changed my life because I learned so many new sewing techniques and it opened my eyes to the beauty behind homemade clothing and organic cotton. The workshop also reminded me that my dreams can come true. I know that sounds silly but learning more about Natalie's story and how she is helping her community inspired me. There are so many things I hope to do with my life and I sometimes push them to the side for my family. Natalie showed me that dreams are attainable while also having children and many responsibilities. We can all live a beautiful life, we just need to be willing to get up everyday and work for it. I also had amazing conversations with dear women who were supportive, kind, beautiful, and inspiring to me. They felt like kindred spirits. I am currently working on two Alabama Chanin D.I.Y. kits (the corset top and a skirt). I know that when I finish them they will be prized additions to my wardrobe. I did finish this little headband that I made to practice my stitch work. I love to wear it to yoga and around town. It covers my grey roots and makes me feel pretty. Plus, I am super proud of it. Those stitches take a long time to stitch. I will forever be thankful for the amazing opportunity I had to attend an Alabama Chanin workshop. It changed me for the better. If you ever get the chance to go to a workshop, please go. I have a hard time going to things by myself and this workshop taught me to forget about that fear and go. Go and soak up all the camaraderie and inspiration you can get. p.s. While in Florence I heard about the band, The Bear. I love them and I think you will to. Their music will forever remind me of my life changing weekend I spent in Florence, Alabama. Also, this video represents all that I love about The South. I finished the challenge to go to yoga class four times a week for six weeks. I wanted to report back to you and tell you that I fell in love with yoga and it is helping me so much. I can't say that I was perfect every week but I tried my hardest and I am learning that I don't need to be so hard on myself. I also am learning how to love myself. I feel that it is truly helping me be a better Mommy, wife, friend, daughter, sister...everything. Yoga is helping me to be a little bit less angry and quick to freak out in my life. Dan has been out of town and I have been here with Roscoe and Bono Baby and I truly felt like I would lose it (I did cry once) but I kept it in check when I took time to breath and reflect. I have a long way to go but I am learning and getting stronger with each practice. I want you all to know that finding time for yourself is so important. We need to take time to breathe, treat ourselves, and try our best to find peace in our lives. I am so thankful for my yoga studio, Inner Sunshine Yoga and Wellness, in Opelika, Alabama. I have a list of favorite things about my time in Alabama and this studio and my instructors are on my list. My yoga instructor, Kimberly says, "Get Radiant" and I feel like I am on my road to getting there. I wish it for each and every one of you too. My favorite holiday, Valentine's Day is weeks away and I started celebrating on January 14 because I think a month is just enough time to celebrate properly. 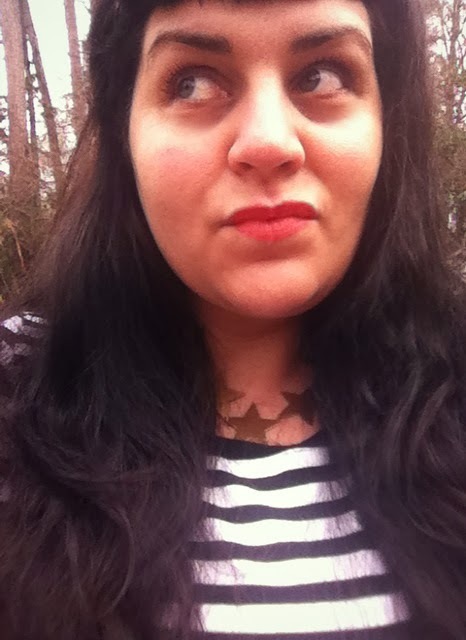 I brought out my Valentine pretties and admired them. I collect vintage handkerchiefs (because I think they are so pretty) and my favorites are my Valentine heart hankies. I think I like them the most because my favorite colors are red, black, cream, and glitter. I try to get a new one every year. I have been having so much fun wearing my favorite Valentine's Day appropriate dresses to church. I wish I had the energy to wear them everyday of my celebration month but honestly I live in jeans and black t-shirts these days. Every year I try to get a (new to me) vintage Valentine for my collection. I pick them out and then I have Dan give them to me because I'm silly like that. I like to hang them up around the house and admire them. I did some extra work for Butch and was able to get this screen print for Daniel's office. I can't wait to get it framed and up on the wall. I also managed to save enough pennies to get Daniel a new pair of wing tip Fluevogs (they are having a crazy huge sale right now). I couldn't wait to give them to him. I want to wish you all the happiest Valentine's Day. It is a day to remember how loved you are, love others, and love yourself. We all deserve to celebrate the love we are blessed with. I hope you all know that I adore you. 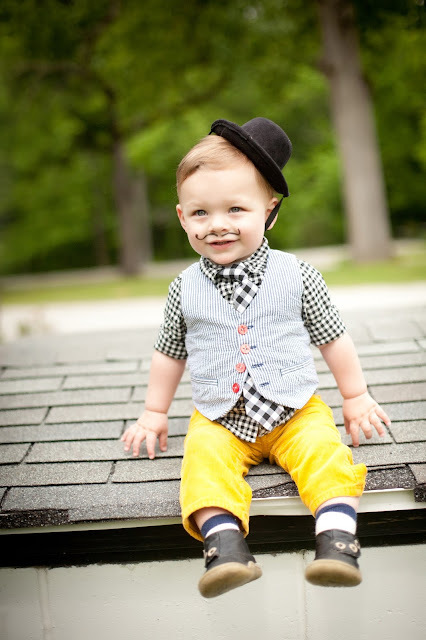 We've had a crazy busy week celebrating our little man Roscoe's 2nd birthday. We kept things simple this year and I think his special day was magical. Honestly, Coco's favorite thing about his day was the balloons his Daddy surprised him with. He is still playing with those nearly deflated balloons (3 days later). I think his special day was almost as exciting to me as my own birthday. Roscoe's birth was so traumatic (and I finally feel like I am past all of that) and life changing for me. I feel like his birthday is a celebration of what I did too. This little man changed my whole world and I can't believe how fast he is growing up. You have made my life and world so happy. I love you so much and very much. My goodness...I am happy 2014 is here. Roscoe is about to turn two and I need to start taking care of myself again. I've let myself get worn out and overwhelmed (above photo). I know I need to take time for myself so I can de-stress and be a good Mommy and I have been searching for a way to do that. I think my biggest issue is that Roscoe is still nursing and I am sleep deprived and cranky. So I started practicing yoga (at a studio for the first time) as my New Year's treat to myself. I was really nervous about going to a studio but I did it and I am so proud of myself. My instructors suggested that we come up with an intention or manta to say to ourselves while we practice. Mine is, "I am not selfish". Let me tell you, when I am trying to hold those (hard to me) poses and breathe, I am repeating my mantra a lot. I feel guilty when I'm not with my boys. I love being with them so much but I know that I will be a better "me" if I take the time to re-charge and give myself alone time. Here's hoping that yoga is my first baby step to finding peace in my little world. I didn't have time to sit down and write out my goals for this new year but I have some floating around in my mind. I think I need to take myself on a date to the library for some quiet time to sit down and reflect on 2013 and what I hope for 2014. Fingers crossed that I can make that happen soon. We all deserve to find ways to take care of ourselves. Find our own "me" time. I hope you are able to find yours and that you never feel guilty for doing so. Here's to taking care of ourselves in 2014. I hope you all had a lovely holiday. I feel like we things are starting to get back to normal around here again. 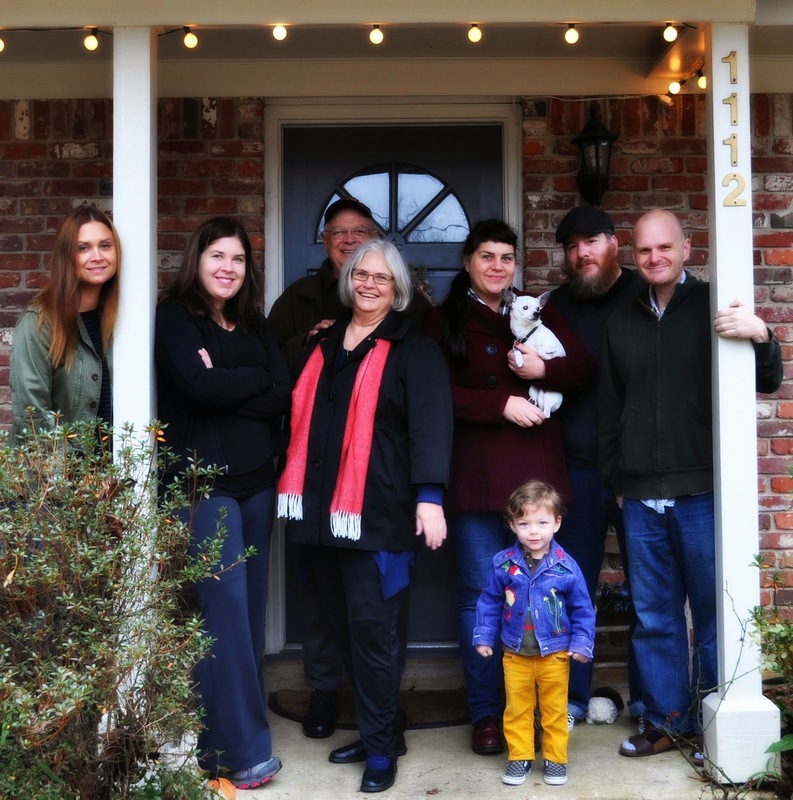 My side of our family came to Alabama for Christmas this year. Our home was busy with festivities and family and it went by way too fast. We had sibling slumber parties, craft nights, a bowling adventures, great food, and lots of down time together. Roscoe was so so so so happy to have family here. Christmas is way more fun when there is a little one in the house. I think our little Alabama Christmas was magical. I am so thankful to my family for making the effort to visit for the holiday. It was a magical time that I will always cherish. I hope your holiday was filled with love and good times. I'm hoping things calm down for a little bit for our little family. Coco is growing way too fast and I want to stop time for just a bit. Goodness me, it's been a while. My life has been crazy as of late. Roscoe and I spent a month in Arizona and California visiting family. 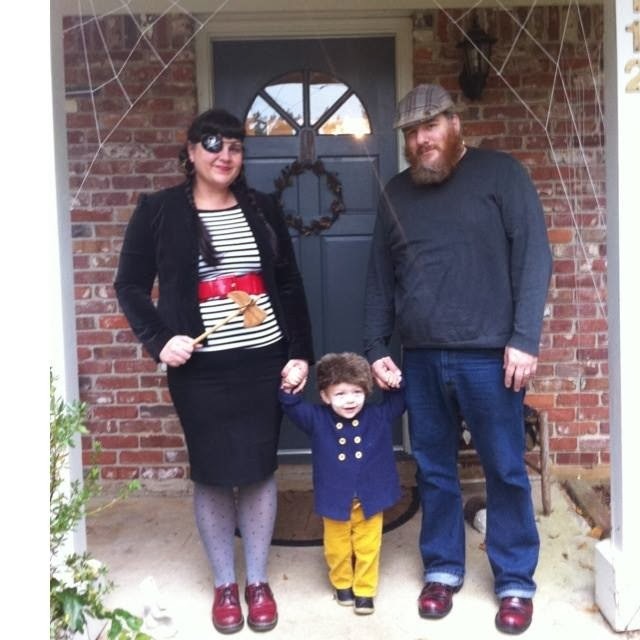 We made it back the day before Halloween to trick or treat with Daniel and Bono Baby. Then we went out of town again so I could go to a workshop (that I can't wait to tell you about). I will say this, I miss blogging. It is a way for me to share and in doing so, wind down. The little man is keeping me on my toes. He's a pretty cute Lost Boy though. I am beyond thrilled about the cooler weather and holiday cheer. If you are still out there, dearies, I want you to know that I'm here for you. I am easier to find lately via email, Instagram, or Facebook. This lovely little blogging world has brought me so much joy and I am thankful to have friends who are here for me (even after I disappear for a while). p.s. Are you all making up your Christmas wish lists? There are so many pretties out there to wish for right now. I tell you, there is magic in the air. Who Can Resist a Black Swan with a Golden Crown? Goodness me, I've been up to my ears busy this month. Daniel went to Seattle (and road tripped home) for nearly two weeks and I have been taking care of the boys. What an eye opener this experience has been for me. I will say this, I appreciate and love my dear husband so so so so much and can't wait for him to get home tomorrow. It has been hard but also empowering and fun in so many ways. To be honest, I think these two weeks were the best thing that could have happened to me (as a Mommy). p.s. 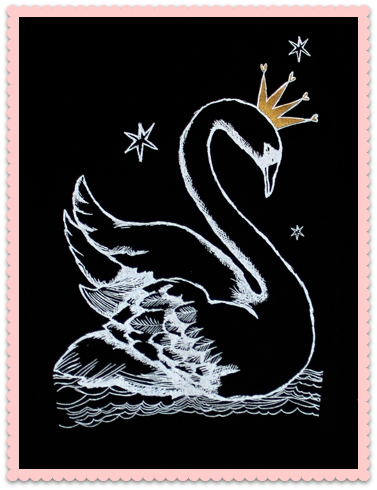 The above swan is from Misha Lulu's winter line. 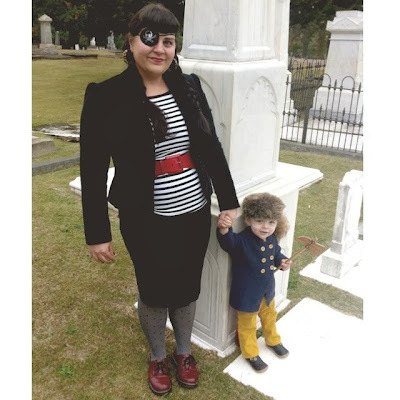 Misha Lulu is a children's clothing designer that I admire so much. She is based out of my homeland in Pasadena, CA and her designs make me wish for a little girl. 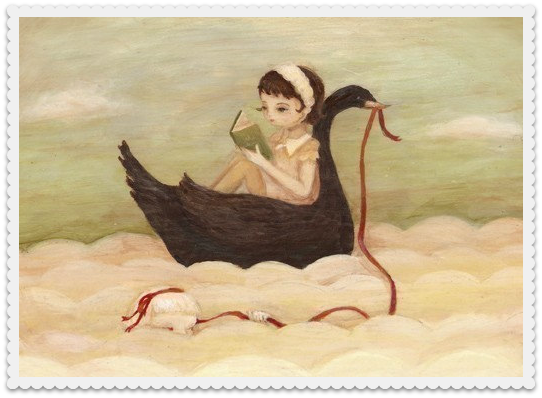 I will admit that I did pre-order this swan t-shirt for a future little girl in my life. I just couldn't help myself and you just never know, right? 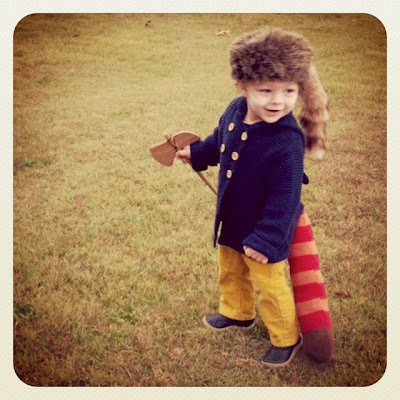 Check out Ava Mae & Ruby Lou Vintage for Misha Lulu's winter pre-order selections. All items are made in the USA in small quantities. My dear friend Jenny of Everyday is a Holiday featured me and my shop on her amazing blog and she is also giving away one of my Doo Nanny floral crowns. Please go visit her and say hello. She and her other half Arron are two of the cutest and most talented kids out there. Thank you for making my birthday magical. I still can't believe I am 38 years old. Time is flying by and I want to be better about enjoying every moment. Some days, it is so easy to let the moments slip by. A while back Daniel and I purchased this Love Always banner from Fun Cult. It hasn't found a permanent place in our home yet but it is hanging casually in our living room to remind us to love one another. The phrase, Love Always, seems so simple and small but goodness, it is so important. I am taking it on as my motto for my 38th year. My wish is for my home (our little bubble in Alabama) will be a place of sanctuary for us. My sweet sister Annie flew out from California for my birthday. Her gesture meant so much to me. Having her here reminded me of how wonderful it is to have family near. Some days I wish I didn't have to live so far from home and family. Roscoe has changed everything for me. Even the way I celebrate my birthday. We spent my birthday eating fancy cupcakes and playing at the park. My boys make me want to be a better person. I want to create a magical place for them to feel Love Always. While it takes work and growth, I think I can make it happen. I think we can all do things everyday to show our friends and family that we love them. I am going to spend this year trying to figure out how to be better about it. My sister Buffy really surprised me for my birthday and I felt so loved. She had a vintage feed sack quilt top that I found at an estate sale quilted for me. She even hand bound it. (Bono Baby is modeling with it above). This birthday has been an eye opener for me. Our moments are precious and life goes by way to fast. I am excited about my new year to grow and learn to Love Always and enjoy the little things and moments. I am lucky to have so many great examples of love in my world. 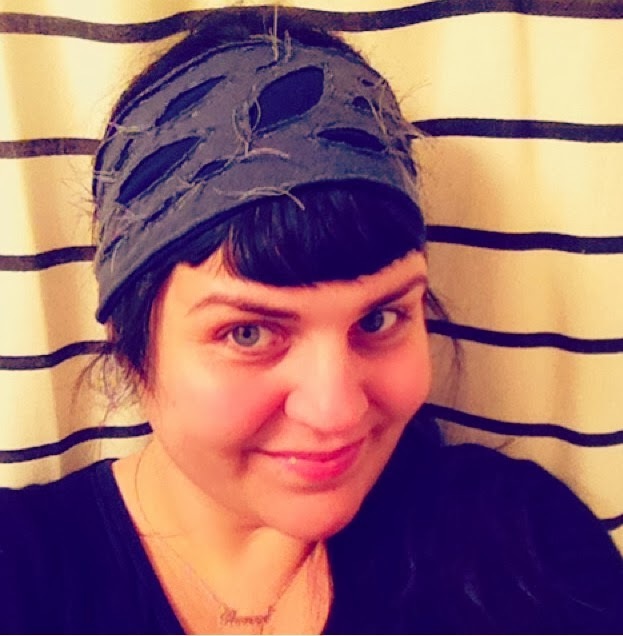 I have been having so much fun seeing you wearing my Doo Nanny crowns / headbands. It makes me happy to see my friends out in the world celebrating and enjoying life. This is my friend Lenah. 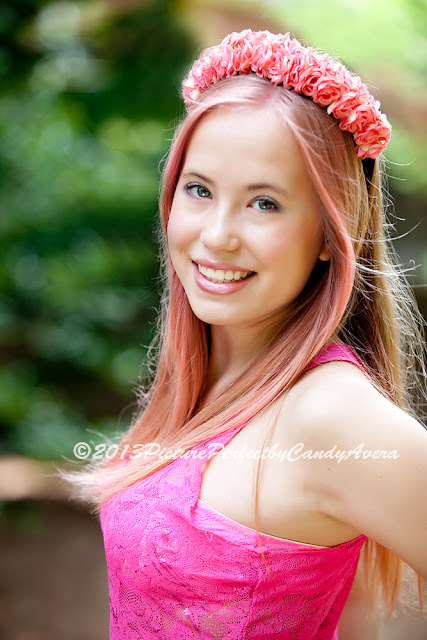 She models for Candy at Picture Perfect Photography. Candy commissioned me to make these flower crowns. She was my first order. I love how they look on film. Thank you Lenah and Candy for supporting me. p.s. 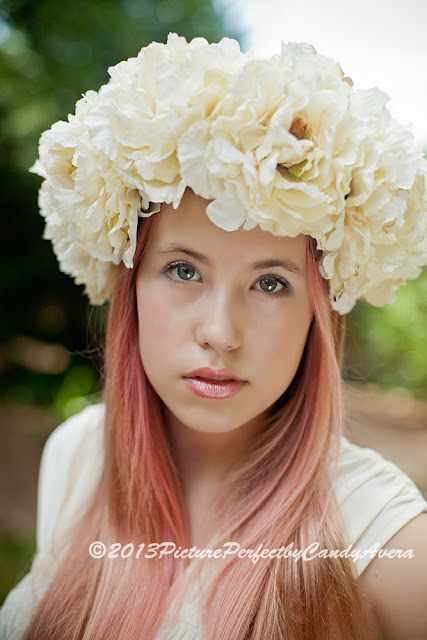 My dear friend Micaela of Dolce Vita is hosting a Doo Nanny flower crown giveaway right now . Good luck. I ran into this photo on Pinterest a while back and it made me giggle. This is me, a few years down the road. I've been trying my best not to feel old right now. Given it is my birthday week and I am about to turn 38 years old. Life just seems to be flying by lately. We took Roscoe to his first movie show today. I can't believe he is old enough to watch a movie. 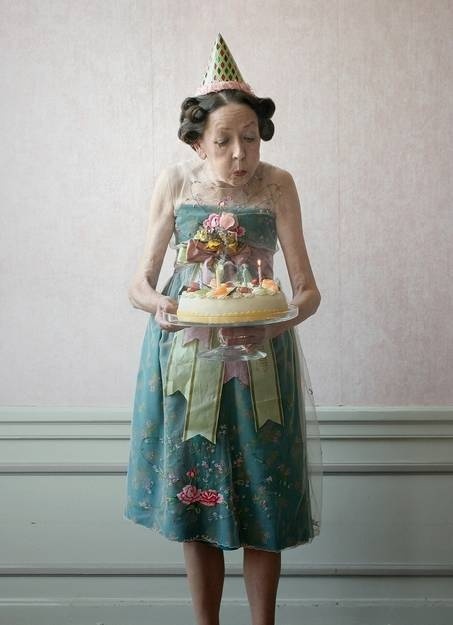 I still feel like a little girl who wants to dress up in a party dress for my special day. I hope I can always feel that way. So often I find myself feeling overwhelmed with my life. Birthdays give me a chance to reflect and celebrate the many wonderful things that I have been able to do in the past year. Honestly, I feel like the only thing I did this year was take care of Roscoe. It was my year to become a Mother. Probably the most difficult year of my life thus far. I have so much to celebrate and I can't wait to eat cake with my boys on my birthday. p.s. Sorry about all the birthday talk. I am a chatty Kathy lately. hugs. This week is my birthday week. It officially starts tomorrow when we go to Atlanta to pick up my sister at the airport. While in Atlanta, Daniel is going to take me to Anthropologie to use my birthday 15% off to get one of my favorite candles and to Trader Joe's for birthday treats. We love to celebrate the little things around here. We have had a rainy week or two here in Alabama. It rained on the 4th of July. We are saving our sparklers for clear weather. July 5th marked the 12th year since my Daddy passed away so we celebrated him by watching Gene Kelly movies and going out for Frosties at Wendy's (my Daddy loved them). Then today my sweet Daniel cut his hand and he had to go to the hospital to get stitches. I love rainy days but I am ready for my sister to bring some sunshine from California. Last year we started a tradition with Roscoe where he gives me a frame-worthy card or print for my birthday gift and he puts his hand and footprints in them or on back of them. I hope to one day have a wall covered with these special cards filled with love notes from my baby boy. This year he is giving me this Emily Martin print (because I love black swans) and last year he gave me this Amelie print by Nouvellegamine. Isn't he the most thoughtful little thing? Also, we have a winner for the Doo Nanny flower crown / headband. Congratulations Sonia V, random.org picked your number. I want to make everyone who entered a special little something so please email me at fritzimarie(at)yahoo(dot)com with your address. Thank you so much for supporting me and my little shop. I hope this month is filled with magic and adventure for you. I am getting super excited because my sister Annie is coming to visit for my birthday. To me, sister time is the perfect birthday present. We may even go to the beach. Did you know that Bettie Page made many of her costumes and swimsuits? I love that she paired the one above with a flower crown. Just because I love July so much and I adore you all, I am giving away a Doo Nanny flower crown / headband to one lucky friend. Please visit my shop and leave a comment here to enter. Oh, and tell your friends too. We all need to celebrate. 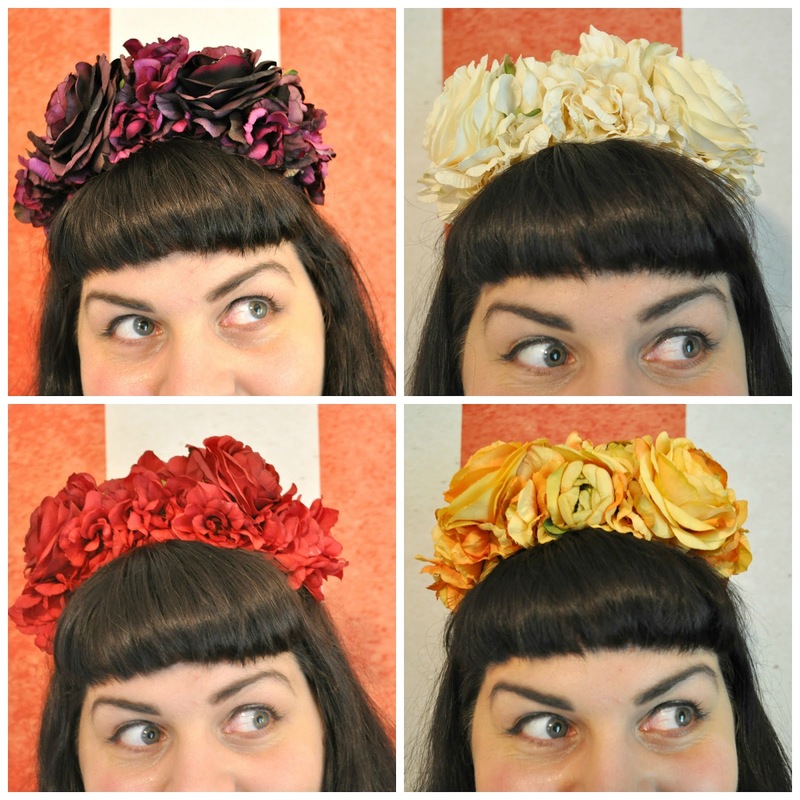 I hope these crowns take you on many adventures and help you channel your inner Bettie Page. She is such an inspiration to me. 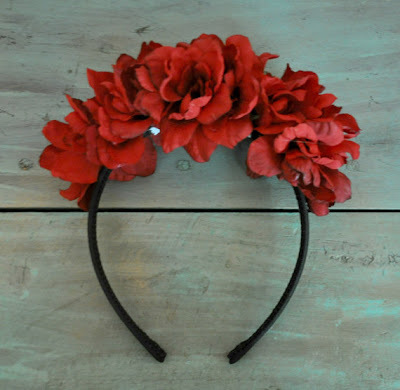 Also, I am offering free shipping on Doo Nanny flower crown / headbands to celebrate their debut in my shop this week. I have been busy giving my world a makeover. I started this blog 5 years ago as a newlywed. 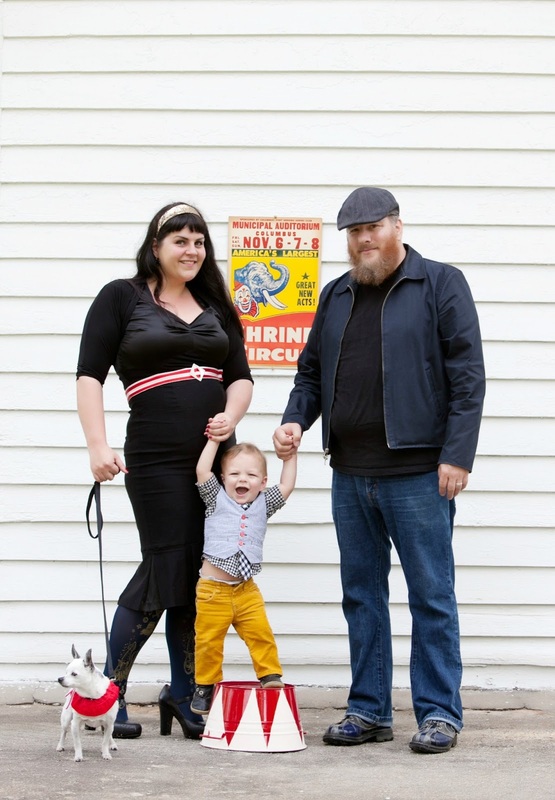 Now I am a stay-at-home mommy to our son, Roscoe, and our 11 year-old puppy, Bono Baby. My dear husband, Daniel, spends his time writing poetry and teaching English at Auburn University. 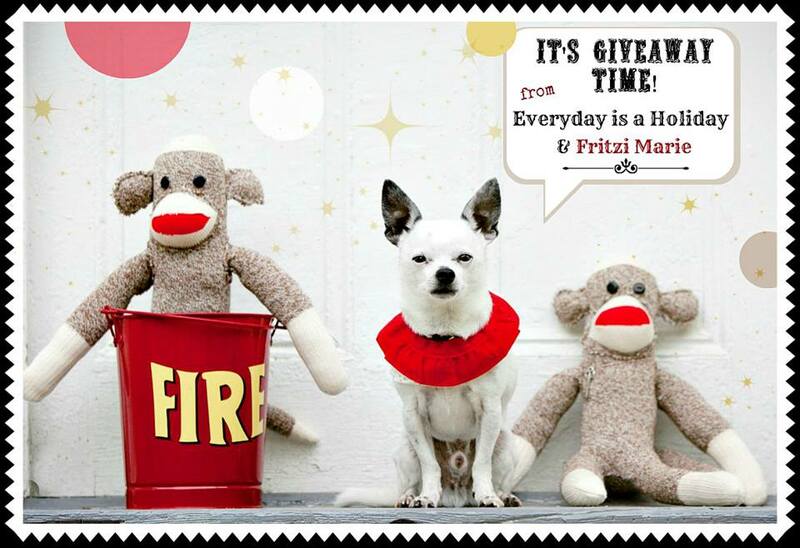 I spend my time treasure hunting and making things pretty for my family and for my shop, Fritzi Marie. We are Westerners living in the South. To us, the South is a magical place where we have been able to grow and fall in love with our little man Roscoe (Coco for short). I hope you enjoy the changes we are making here. I feel like so much has changed in my world since Roscoe arrived. Motherhood is crazy and I find it is so hard not to lose yourself in it. I am determined to be a mommy, wife, treasure hunter who enjoys creating pretty, sassy lady, and friend. I am so thankful to all of my friends who have supported me and this little blog. 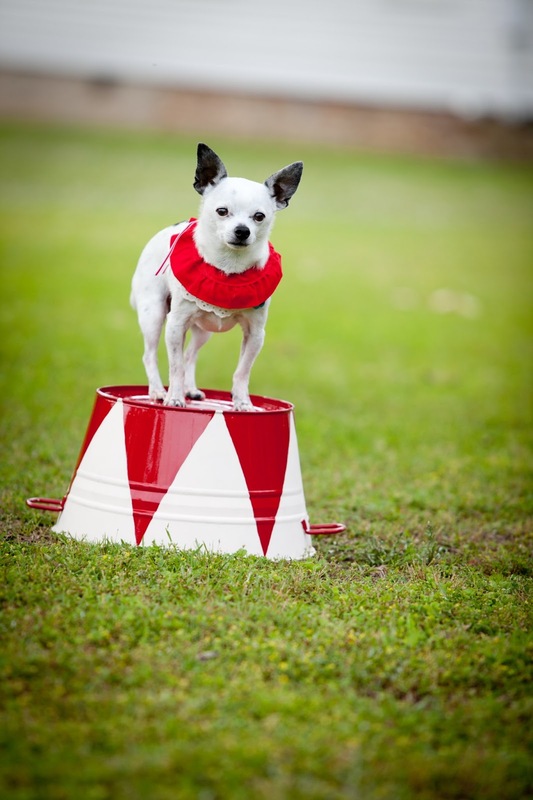 I hope I am able to cheer you on and help you find your fire engine within. p.s. 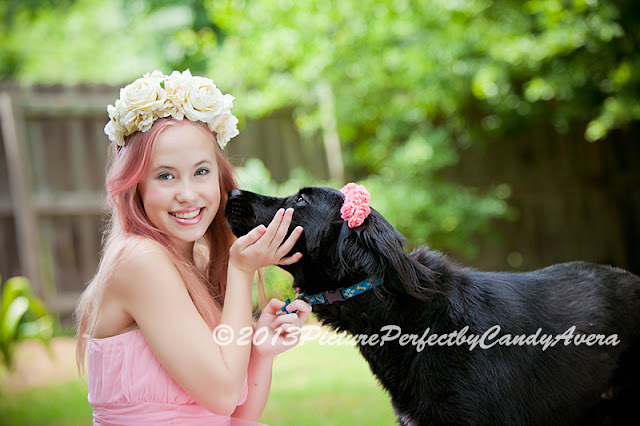 These are a few of the photo's that my friend Candy of Picture Perfect Photography took of us. We are so in love with them. The first of the Doo Nanny Crowns / Headbands are now in the shop. We want our friends to have the chance to take them out on the town so we are offering free shipping until July 7th. Thank you so much for being our friends. On Monday, July 1st we will be re-opening our Etsy shop and selling our Doo Nanny crowns/headbands, sock monkeys with vintage embellishments, and various vintage items that we have been hoarding for far too long. It is an exciting time for us. Above is the first Doo Nanny crown/headband I made. It is the larger version of the crown. 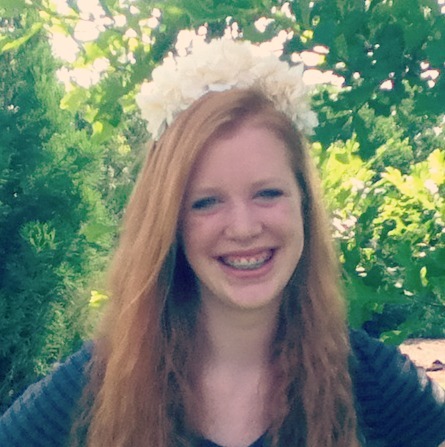 This is our beautiful friend Ellie modeling the smaller version of our Doo Nanny crown/headband. I love when I see her wearing it out and about. It makes me so happy to see my friends wearing something I made. I hope they make you feel beautiful and festive.